Home Gaming 7 Best Flash Gaming Sites you are gonna love! 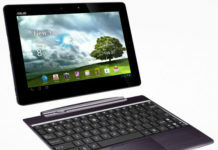 Games are one of the most widely used and loved softwares today. There are many popular games like Counter Strike, Need For Speed, Call Of Duty, etc. but mini online flash games have their own importance in our lives. 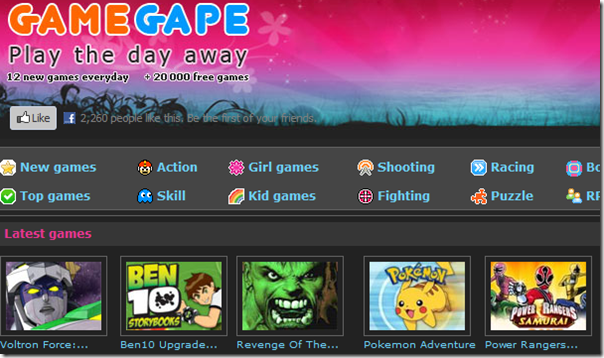 So, here we introduce to you the top online sites that offer online flash games. This site is one of my personal favourite. The website was one of the earliest players in this field and thus, this website has a number of titles that has made it highly popular amongst the gaming fraternity. Titles such as “Clone War Adventures” has managed to maintain a loyal army of followers. The Club Penguins, Free Realms, RuneScape, and Webosaurs are some of the titles that are responsible for the success of the company. 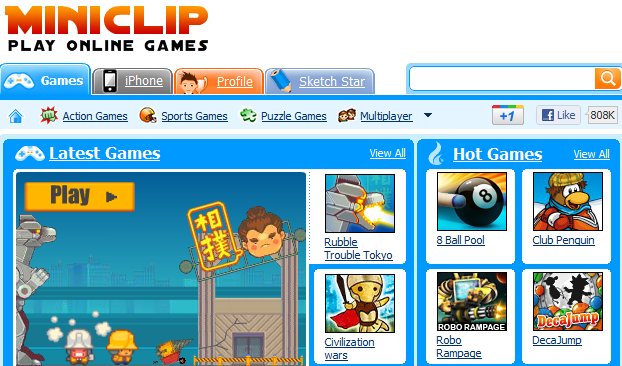 Miniclip also offers the developer APIs so that they can be utilized by developers to make more interactive and powerful games. 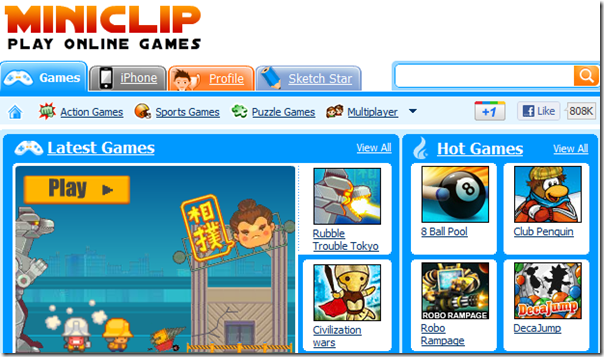 Miniclip has also launched games for Android and iPhone platforms. Kongregate offers more than 45,000 games. It also offers various badges on achieving good scores in various games. You can share your score on facebook and show your badges to your friends. Zombotron and ‘Learn to fly’ are 2 of the most popular games on the site. “Armor Games” was earlier known as Games of Gondor. This flash based website was founded in California by Daniel McNeely. 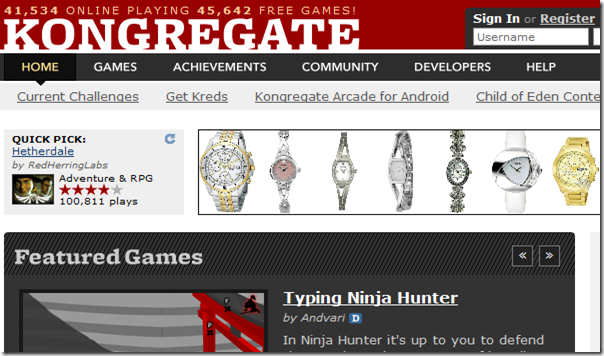 The site has games across a variety of genres like puzzle, shooting, strategy, racing, etc. The company rose to fame due to its Lord of Rings themed games such as “Hob the Hobbit”, “Battle for Gondor” and “Orc Slayer”. 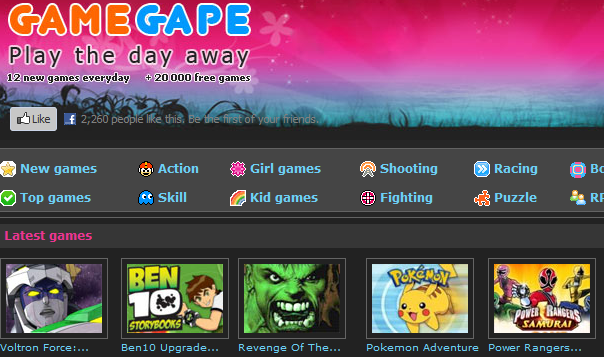 GameGape is another premier flash based gaming site that has more than 10,000 flash games to offer. Besides a gaming site, GameGape is a social media network also where people can interact, socialize, relax and make new friends every day. The website has its own gaming studios in addition to its partnerships with reputed gaming companies and publishers. This company has published games for many multinationals like Coca Cola, Sony Ericson and much more. 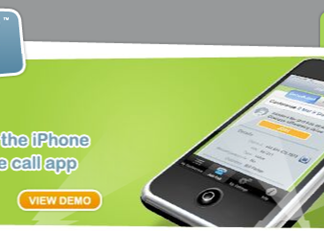 The company has its own distribution channel through which it shares its content with the users. 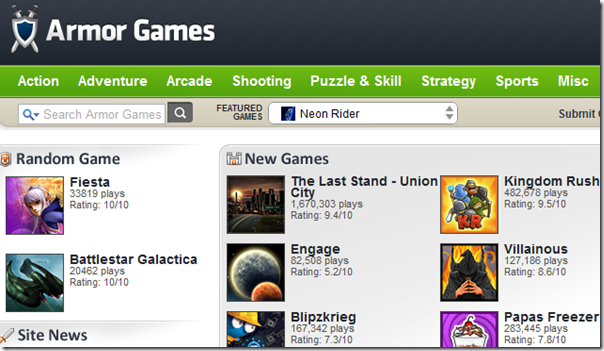 BestFlashGames is a directory of free flash games. Site claims to add new flash games each and every day. 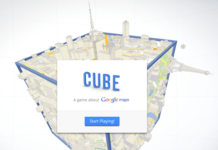 Games are listed in various categories which make navigation quite simple. Truck Loader and Battlefield are 2 of the most popular games on the site. 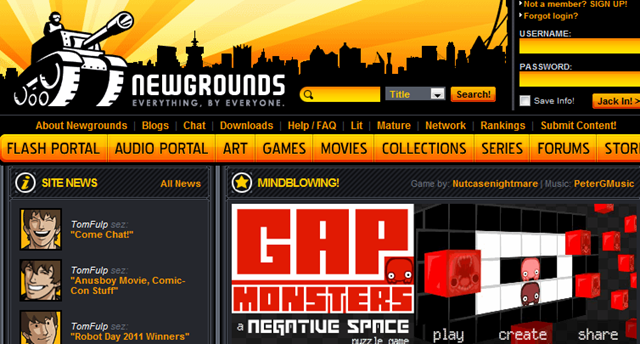 Newgrounds is an American based website which was founded by Tom Fulp in 1996. The website is the oldest Flash portal website and has an indigenously built user rating system. This website has a number of games across a variety of genres like action, puzzle, casino, adventure and much more. Besides this, the website has a number of movies and audio that is offered for the visitors. This is another excellent website that offers good flash based games. There are a variety of games are offered for free and are across a variety of genre like sport, adventure, action, puzzle, multiplayer, etc. The website is offered in the Indonesian language but you can translate it anytime using Google translate. I hope you liked the above listed flash based gaming websites. If you also know a good gaming website that is a house to flash games, do let us know via the comments section and we would add it to the list above. Author Bio: Shortly after graduating from Carleton University with a degree in Electrical Engineering, Dan Jaslanek launched a start-up IT business with the purpose of providing reasonably priced IT services to home users and small businesses in the Ottawa area. Dan’s company, EZ Support offers website design options, web hosting plans, remote desktop support, and search engine optimization. Armor Games and Mini Clip are great and others are new to me. I play games on on http://digibeast.com/, which lets me collect badges and points to show my facebook friends i’m better. does a bit extra to make it engaging and rewarding.